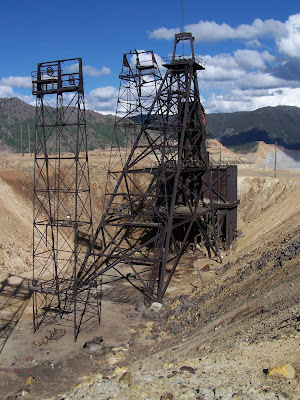 The American Labor History Theme Study, completed in 2003, identified Butte as one of 16 sites that warranted further evaluation as an NHL for its association with labor history. The Butte-Anaconda district represents several themes discussed in the theme study, including: Marking Labor History on the National Landscape, Extractive Labor in the United States, and American Manufacture: Site of Production and Conflict. It meets the requirements for national significance defined in the theme study. This nomination also expands the NHL district to encompass all of the nationally significant resources associated with copper production and unionism. While the 1961 designation focused on Butte, this (2006) nomination also includes the communities of Walkerville and Anaconda, as well as the Butte, Anaconda & Pacific Railroad. Walkerville represents the districts mining camp period and was the site of its earliest mining discoveries; Walkervilles mines were also the focus of the districts first labor strike. Anaconda, Buttes "sister city," was an integral component of the copper district. The ore that was mined in Butte was shipped to Anaconda via the Butte, Anaconda & Pacific Railroad for smelting. Established as a company town for the purpose of providing smelting operations for the copper district, Anacondas history and development is intertwined with that of Butte and Walkerville. Granite Mountain Mine headframe. Photo by Richard Gibson. 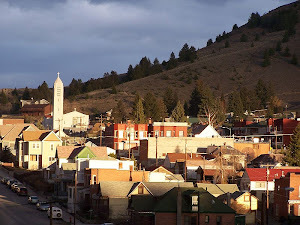 The Butte-Anaconda Historic District is a unique and outstanding part of Americas built environment that is critical to understanding and appreciating broad patterns of the nations extractive mining and labor history. The historic district powerfully illustrates the dramatic changes that resulted from Americas emergence as the worlds leading industrial nation. The meteoric rise of Butte-Anaconda to the pinnacle of world copper production was inherently linked with the advent of the Age of Electricity and the corresponding industrial revolution of the late 19th and early 20th centuries. By providing vast reserves of red metal just when it was needed most, Butte-Anaconda helped transform the United States into a modern economic superpower. Butte-Anaconda profoundly affected the nations labor movement. As Americas "Gibraltar of Unionism," Butte-Anaconda embodied the strengths (and periodic weaknesses) of the industrial working class, spread the gospel of unionism, and spearheaded the formation of the Western Federation of Miners (WFM) and International Workers of the World (IWW). In addition, events at Butte-Anaconda catalyzed the schism that led to the formation of the Congress of Industrial Organizations (CIO). Additionally, the Butte-Anaconda NHLD contains nearly 6,000 buildings, structures and other historic resources, making it the largest single designated National Historic Landmark in the United States by contributing resource count. New Orleans has some 18 separate districts; Lowell, Massachusetts has at least 12; and Savannah, Georgia has seven or more. Each of those cities may have as many or more contributing historic resources as the Butte-Anaconda NHLD in their multiple districts.